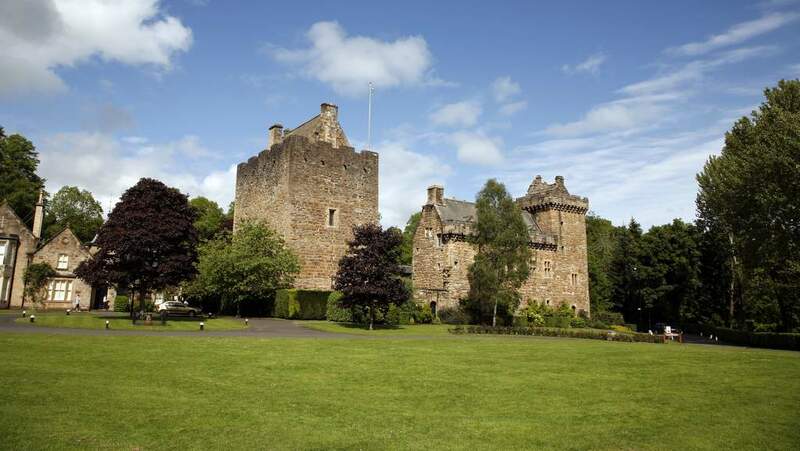 Dean Castle Country Park is a fantastic day out for all the family. The country park, covering over 200 acres, is nestled in the heart of Kilmarnock and offers something for kids and adults alike to enjoy. The Country Park boasts beautiful woodland walks, an adventure playground, urban farm, visitor centre, tearoom, shop and a fantastic 14th century castle housing world class collections including historic weapons, armour and musical instruments. You can explore the park using scenic paths and trails - each season brings with it ever changing plants and wildlife that you might spy along the way. With over 80 hectares of countryside within a very urban area, the park is a great place to get away from the stresses of everyday life and see some fantastic wildlife. Visit the urban farm area and meet the residents including the fallow deer herd, family of llamas and bagot goats and donkeys. Take part in some fun environmental education with the Countryside Ranger Service who will also answer any natural history related questions that you may have.